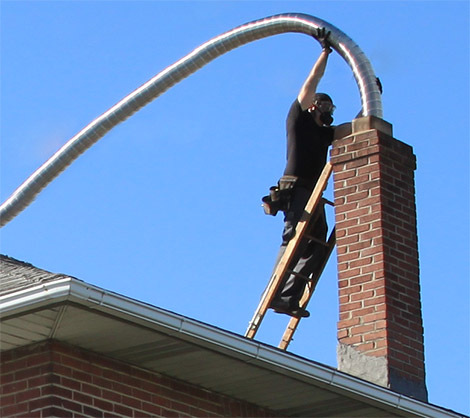 When you read about someone dying from carbon monoxide in the newspaper it often has to do with a faulty lining and/or a blocked flue. 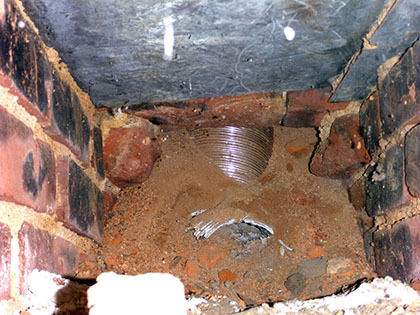 Gas systems are very susceptible to this type of problem in unlined homes 100+ years old as the bricks turn to a powder which falls to the bottom of the flue and can create blockages over time. 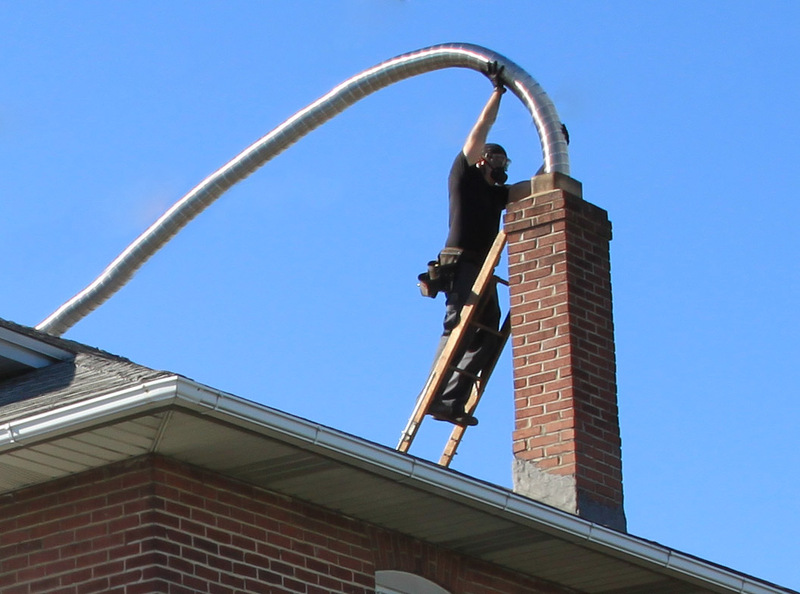 The worst case scenario is a brick (or 2 or 5+) falling down the flue and blocking overnight in the winter while the heat is running. This picture shows a better idea of what can happen. In this case a tremendous amount of carbon monoxide will enter back into the home and this can be a life threatening situation. 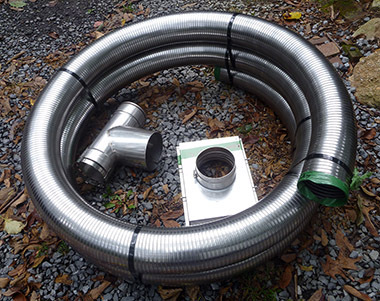 Our mission is to prevent these issues from ever occurring in the first place with stainless relines, carbon monoxide meters, and proper education to our customers on where to place them and what to do in a carbon monoxide emergency.